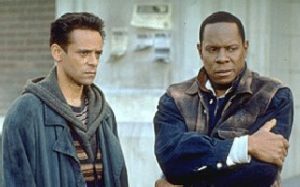 So, 10Backward host Rick (Everson) flipping loves Past Tense, the DS9 2-parter that depicts the Bell Riots of the 21st Century. He’s constantly banging on about social commentary at it’s best in Trek and what it said when the episode aired and how even more relevant it is today. But what of the rest of the 10Backward gang? Do they agree? Do they tolerate Rick’s passion? Or do they cut him down with well reasoned arguments? Or scatological humour? Find out by listening to our analysis of Past Tense!